Nasonex is a treatment for people that experience irritating symptoms in the nose due to hay fever. This nasal spray can be used by both adults and children to control the inflammatory response that can occur when exposed to pollens or other substances that prompt allergic rhinitis to begin with. Do you have an allergy to Nasonex or any of its ingredients? Have you ever used, or taken, any other hayfever or allergy treatments, such as antihistamine or nasal sprays, without the desired effect? Have you recently experienced any of the following symptoms? Have you recently undergone any surgery to the nasal cavity or sinuses, or encountered any nasal trauma? Are you aware that steroid sprays such as Nasonex should not be used by patients suffering from glaucoma? Do you agree that you will contact your GP if any of the following occur? 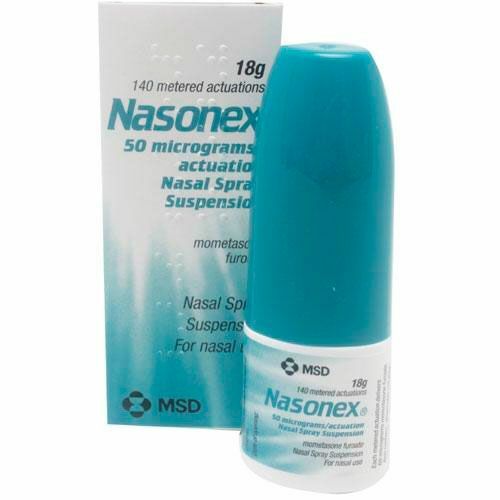 Nasonex is a nasal spray used to relieve symptoms in the nose caused by hay fever (allergic rhinitis). It responds to the inflammatory response that can occur when a patient is exposed to triggers such as pollens or dust mites. As a result, it can stop or minimise sneezing, itching and swelling as well as the experience of having a blocked or runny nose. Nasonex makes use of mometasone furoate, which belongs to a group of medicines called corticosteroids. This ingredient is able to relieve symptoms of allergic rhinitis because it specifically targets cells in the nose and stops them from releasing chemicals produced when an allergic reaction occurs. By blocking these chemicals, a nasal inflammation reaction is prevented along with the annoying symptoms that traditionally crop up when allergic rhinitis occurs. Your information leaflet should provide detailed instructions on how to use this spray properly. 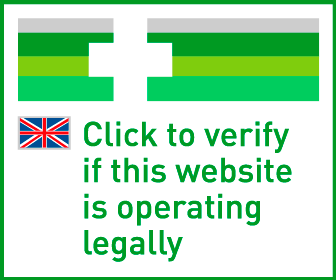 This medication can be used by adults and children aged 3 years old or above, but the exact recommended dosage does depend on the age of the patient. For those aged 12 years old or above, the usual dose is two sprays into each nostril once a day. When your symptoms are under control, your doctor may recommend you reduce the dose taken. For children aged between 3 and 11 years, the typical dose is one spray into each nostril per day. For some patients, the symptoms may be relieved within 12 hours after the first dose, but the full benefit of treatment may not be witnessed until the first two days of using this medication. You should continue to use this treatment regularly to achieve its full benefits. If you or your child suffer badly from hay fever, then your doctor may recommend you begin using Nasonex some days before the pollen season begins. If you are an adult aged 18 or over and you are prescribed Nasonex to treat nasal polyps, the usual dose taken is two sprays in each nostril once daily. If symptoms are not controlled after 5-6 weeks, then the dose may be increased to two sprays in each nostril twice daily and then reduced back down to once daily once symptoms are under control. What if I use too much Nasonex? If you accidentally take a larger dose of Nasonex than you’re meant to, you should tell your doctor as soon as possible. You may be at more risk of experiencing side effects associated with this medicine. Treatments which use steroids can in rare cases affect someone’s hormones if they are used in large amounts or for a long time. In children this may affect their growth and development. What if I forget to use Nasonex? If you forget to take this medication, then use it when you remember and carry on taking doses at the times you normally would. Never take a higher dose than you’re meant to in order to make up for a forgotten dose. If you are wanting to stop taking this medication, then you should really only do so when your doctor advises you to stop. While symptoms may start to feel a lot better after just one or two days of using this medication, you should continue to use it on a regular basis to get the full, proper treatment required. Use TWO sprays in each nostril once daily.